Failed to start game (missing executable). I got 2.2 then the update to 2.3 but it I keep getting that error. 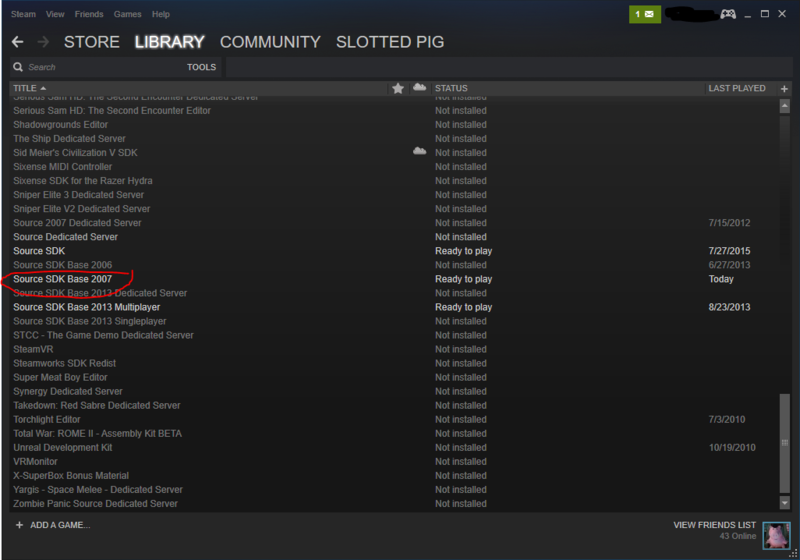 Do you have the circled "tool" installed in steam? Yes, I have all the source sdk's including that as well as all valve games. Is this the first time you've installed BG2? Have you ran the Source SDK Base 2007 tool by itself? Alright so I figured it out, somehow my sdk2007 got corrupted so I re-installed it and it works now. It was working not that long ago so I don't know why it broke. Glad you managed to get it sorted. I'll close the topic now.